A swelling at the base of the big toe, associated with the toe leaning towards its neighbour, is commonly called a bunion. The lump may be painful, and makes shoe-fitting problematic. Furthermore, the toe is weak and so the smaller toes have to work harder. Pain and/or curled up “hammer toes” may result. Eventually arthritis may develop at the big toe joint or in the middle of the foot. In certain cases advice about shoes and a discussion concerning the likely future for the foot allow surgery to be postponed or avoided altogether. Where surgery is required it is essential that the recovery time is not underestimated. 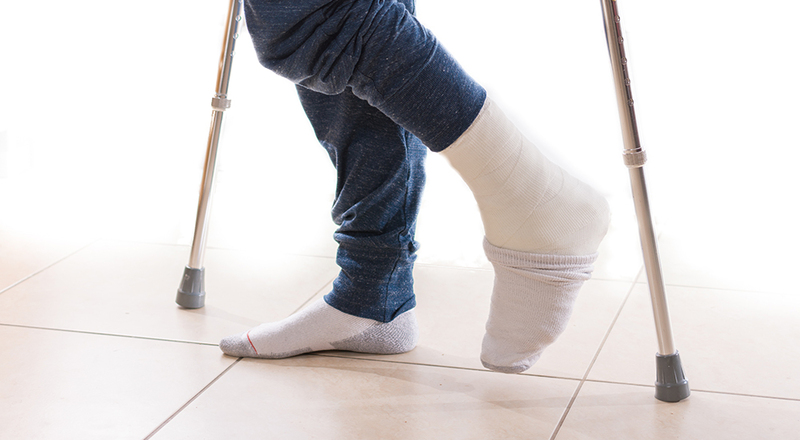 Breaking and resetting the bone is extremely reliable and thanks to modern methods is not the painful ordeal that it once was but swelling takes a long time to resolve. Driving (unless the surgery is only on the left and the car automatic) is not advised for 6 weeks. In carefully selected cases foot surgery can be performed with keyhole operations, which carries potential short-term advantages. Commonly known as ‘flat foot’, flexible pes planus affects many people and is often hereditary. Children under six nearly all have flat feet. However, provided they are flexible flat feet, this is usually not a problem, since they correct with growth. It is important to distinguish harmless flexible flat feet from other causes of flatfoot, which may be stiff and painful. Increasingly flat feet may indicate an underlying condition which requires treatment. As there may be many causes, only by fully assessing you can we recommend the most appropriate treatment or procedure. The foot has many bones that begin to develop in the womb. Beginning as a single lump of cartilage, they separate into the various parts that constitute the foot. However, occasionally this natural process fails resulting in an abnormal connection between two foot bones. This causes a stiff flat foot. For many people, this does not cause pain or problems. However, should such individuals suffer, injury, pain and walking difficulties may arise in later years.. Treatment options include physiotherapy, specialist insoles or occasionally, a period of casting. If these prove unsuccessful, removing the coalition will sometimes make the foot virtually normal. If there is joint damage then subtalar joint fusion may be needed. Our specialist team will advise you on the most appropriate treatment for you. Hard lumps on the top of the foot or base of the big toe are often ‘spurs’ at the edge of an arthritic joint. A pad of tissue (bursa) which develops to protect the area from shoe friction makes the bump seem even larger. Despite the arthritic change, the joint may not feel painful, and we therefore only need to remove the bumps. Alternatively, examination may reveal that the joint is causing some of the pain and our treatment must then address the bump and the joint arthritis. Lumps on the sole of the foot are often treated without surgery, as the scar can make walking painful and the lump may return. Treatment options include supportive orthotic devices, physiotherapy, anti-inflammatory medicines, and selective X-ray guided joint injections. If these treatments are unsuccessful, we may consider fusion of midfoot joints. This provides good pain relief but carries a long recovery period. In the foot, the sesamoids comprise two bean-shaped bones that reinforce the tendons in the ball of the big toe (they are like miniature knee caps). Sometimes, these bones can become inflamed or damaged, causing pain and discomfort. Treatment options include rest, physiotherapy, specialist insoles, X-ray guided injections. Surgical removal of part or one of the the big toe sesamoids is only considered if all non-surgical treatments fail. Alternatively, if the sesamoid has thickened, we can reduce its size through sesamoid debulking/shaving. Pain in the ball of the foot, often radiating into the central toes, may be due to swelling of the nerve between two adjacent toes. Often the symptoms are worse in closely fitting shoes. 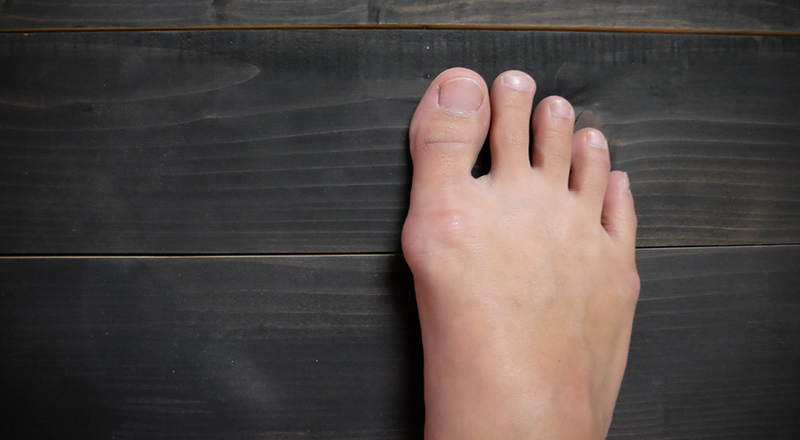 Swelling around the base of the toes is more usually associated with a stress fracture or formation of a hammer toe – and correctly diagnosing the cause of the problems is important for proper treatments to be chosen. 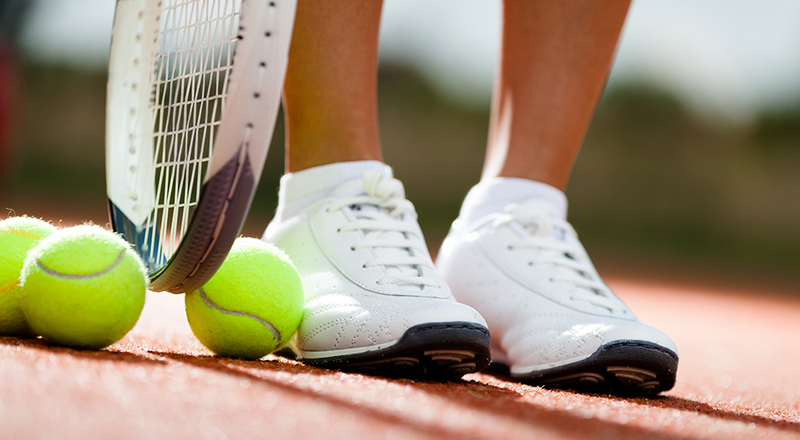 Most cases can be managed by better shoes, insoles, physiotherapy and injections. In stubborn cases surgery gives very good results. Ingrowing toenails can cause severe pain and even walking problems. Often the nail digs into the skin, causing irritation, swelling and infection. Chiropodists and podiatrists deal with most ingrowing toenails, treating skin swelling and infection by cleaning, padding and with antibiotics. The cause is often unclear. However, the cycle of the nail digging in, then infection with skin swelling which creates further digging in and swelling, can be difficult to break. Careful instruction on correct nail clipping and foot hygiene can reduce the chances of recurrence. The advice of a chiropodist or podiatrist should be sought on the correct technique of cutting toenails and they can also advise on attempting to encourage the nail to grow away from the skin edge. Non-surgical treatment is always tried first. A short course of antibiotics may be needed to control infection and swelling. If symptoms are not cured in this way, it may be necessary to consider surgery. When such measures fail, the nail is sometimes cut along the edge to prevent pressure on the skin. This simple “wedge resection” has usually been attempted before the patient is referred to us. More formal surgical methods involve excising the side of the nail and permanently removing the corresponding part of the nail bed and root from which the nail edge is growing. We can perform both by surgical excision (Winograd procedure) or by applying a chemical (phenolisation). Over time nails often discolour and thicken. While there is often no obvious cause, the nails can become infected. Usually this is because of a fungus. This can be difficult to eradicate and may spread to other nails. Chiropodists and family doctors usually deal with this condition and may test nail trimmings for fungus. Treatment usually involves prescribing anti-fungal medicines and ointments. Occasionally removing a nail is necessary. We then have to decide whether to “see what grows back” or try to prevent any regrowth at all by removing the nail root at the same time. When toenails curve over at the edges in a very exaggerated curve and difficulty with nail care is prevalent. There is usually no obvious cause for the deformity of the nail. A chiropodist can trim and shape the nail to alleviate pain and discomfort. If this is unsuccessful, we can recommend nail root ablation to remove the nail and prevent the condition returning. There are usually 28 bones in the foot and ankle, but extra “accessory bones”, usually within tendons, are common. The accessory navicular bone is situated on the inside edge of the foot (near the apex of the arch) where it may protrude as a bump. In time, or through injury, this bone can become painful and rub against your shoes. As it is attached to a tendon, the condition can also cause a painful flat foot. Treatment options include insoles and physiotherapy. Sometimes an injection can be helpful either as a test, as a treatment or as both. If these strategies are unsuccessful we occasionally recommend removal of the accessory navicular and reattachment of the tendon (Kidner procedure). Some people are born with clawed or curly toes while others develop them. In some children, clawed toes occur when the tendons underneath the digit, attaching to the tip, are a little too tight. With growth, the toes may straighten spontaneously. You should seek advice if a child’s normal toes become curled during growth – especially if the arches become deep and walking is affected. This is because abnormalities in the nerves of the spine are a rare but important cause of these toe changes. Normal toes can become clawed later in life. This leads to pressure that feels as though there are pebbles under the ball of the foot. There may be a big toe problem that is the underlying cause of the toe clawing, because even a mild big toe problem causes you to lean over onto the outer part of the foot subconsciously. For treatment to be successful, the underlying cause must be identified and addressed. Insoles, physiotherapy and injections help over half of sufferers. Surgery successfully straightens toes, but at the expense of a degree of stiffness. Key-hole surgery methods can be very helpful with straightening smaller toes that are clawed. Feet come in a wide range of shapes and sizes. While these usually cause no problems, sometimes flat feet or deep (high) arches can be the cause of pain. Foot problems can lead to knee complaints too. A thorough assessment is required to check the whole lower limb. Following a thorough assessment of any underlying conditions, physiotherapy can often alleviate the symptoms. Orthotics to correct abnormal foot posture are sometimes required too. A tight calf muscle may be the principal problem, and in certain circumstances a minimally invasive operation is needed to address this (gastrocnemius muscle release). Now that I can once more wear normal shoes my walking has improved enormously as has my balance. Life has taken on new meaning and I am endebted to you for your expert care and attention. Thank you very very much for a beautiful new foot.